The 201-meter Citibank tower looms over Queen’s Long Island City as the central shadow-casting spire (“gnomon”) of a gigantic sundial just across the 59th street bridge from New York City. This website explores this sundial as its shadow sweeps across the neighborhood – how it is defined, read, and experienced over the course of an earth lap around the sun. This sundial’s type (the gnomon is vertical instead of at a customary angle) and fixed position mean that the length of the shadow at any given time changes from day to day. The ‘dial’ is the irregular terrain of buildings and elevated roads and tracks in a neighborhood that slants down toward the nearby East River. So reading the sundial is more adventurous and involved than reading an ordinary, small, flat and smooth sundial. 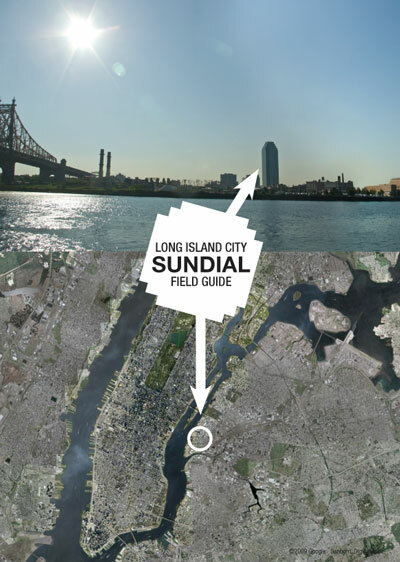 Use the links in the menu above and the blog categories to the right to learn to read the LIC Sundial and explore its urban and natural contexts. 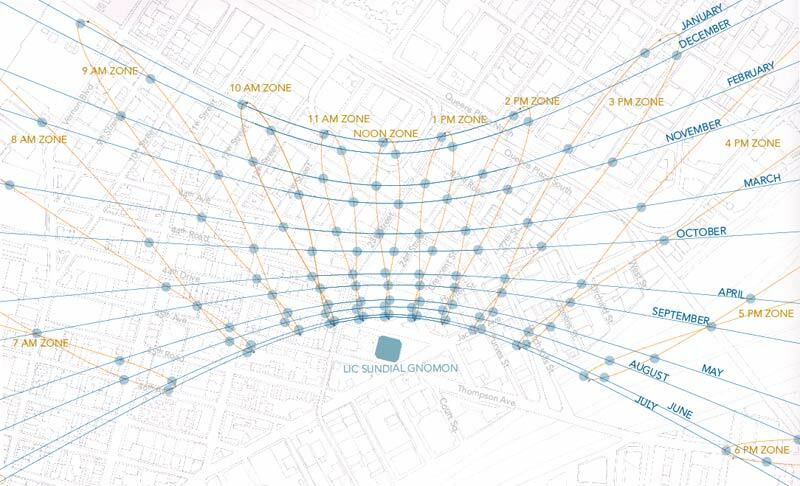 The diagram below summarizes the pattern of the gnomon’s shadow over the neighborhood over the course of a year. The first day of every month is detailed hour by hour. Measurements are taken from the tip of the shadow. More shadow-demarked maps for this sundial are in the ‘maps’ section of this site. 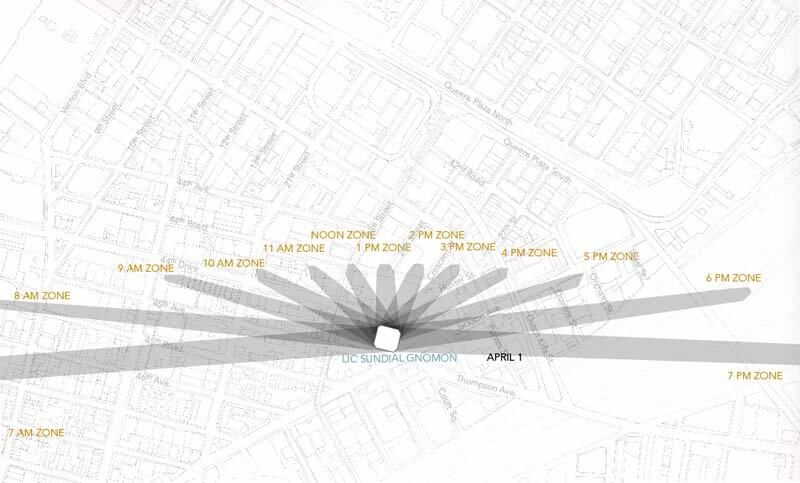 Long Island City Sundial is a project by Heidi Neilson. It is made possible (in part) by the Queens Council on the Arts with public funding from the New York City Department of Cultural Affairs and a Project Assistance Grant from the College Book Art Association.